11 days on, Jean Bigirimana, the Iwacu journalist has gone missing. 11 days of anxiety and questions but especially in the deafening silence of the national police. The last communication in connection with what appears increasingly like a kidnapping goes back to the tweet of the spokesman of the police who said that the journalist was not detained by the police and had not been abducted by the intelligence service agents. Nkurikiye claimed that the police were investigating and even called for “the help of Jean’s family “. Since then, nothing but absolute silence. 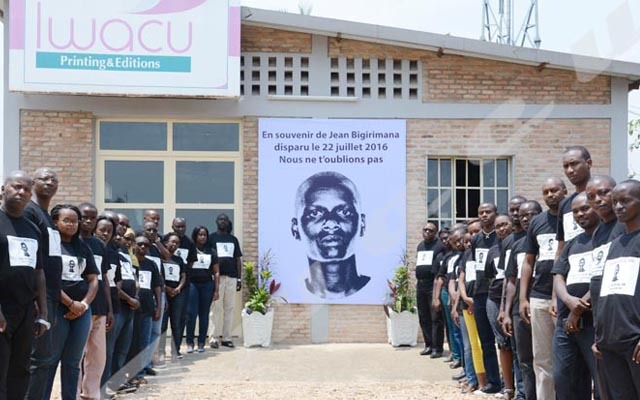 Yet, the most contradictory information continues to spread in Bujumbura and on the Net: Jean would be alive and held in the premises of the National Intelligence Service. Other sources report instead that the journalist was killed. “Jean was killed.” His body would be beside Mubarazi river, in a place called “Nyabisiga”, reveals a source. What is disturbing is that the Iwacu journalists conducted their own investigations and converged on a kidnapping carried out in Bugarama. Around the world, the police do not neglect any clue or evidence but rather work on any information or source at their disposal. Curiously, the police never approached Iwacu to discuss these serious indications. Yet, there are available witnesses; identifiable people like that seller of telephone credits in Bugarama. There is even this phone number from a woman who called at Iwacu press office. But the police seem to ignore all this. Why? Why do simple journalists manage to find avenues of investigation? And yet, the police are equipped and qualified enough to carry out thorough and plausible investigations. Iwacu is ready to collaborate and share what it knows. Besides, all that we found was published.